Join us at the Norris Center for an open house showcasing the work of the past year. 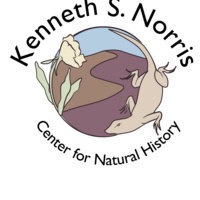 The Norris Center is a natural history museum, and a hub natural history educational and research opportunities for students, faculty, staff, and the greater Santa Cruz community. The open house is open to everyone: students, alumni, and community members. The center will showcase the Randall Morgan Insect Collection, an art exhibit of animals that would be affected by the proposed US-Mexico border wall, a live taxidermy demonstration, and more! Refreshments provided.